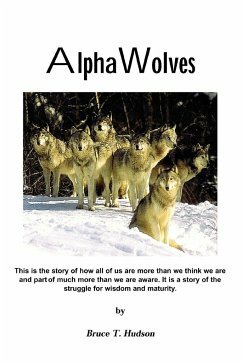 "Alpha Wolves" is a dramatic story exploring the continuing struggle between strength and wisdom.A few years ago, Biologists discovered what none of them thought was possible. Ex-alpha male wolves were running in packs. The occurrence of the "Lone Wolf" was one that was common to naturalists worldwide. Within the wolf pack, there is an alpha male and alpha female who are the leaders of the pack. When a younger wolf gains strength, it can challenge the alpha male for pack leadership. If the challenge is successful, the younger one takes over leadership of the pack and forces the older male wolf to leave the pack. Traditionally, the older wolf would become a Lone Wolf. Within this context, the conflict between wisdom, generally acknowledged to be acquired over time, and strength, often associated with youth and vitality, is explored in a powerful and moving story. 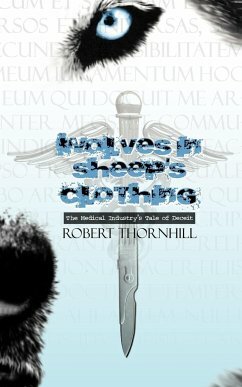 "Alpha Wolves" is a riveting story with a rich set of characters.